India, a projected enemy nation to Pakistan since their births in 1947, continues nurturing friendship with Afghanistan and also Iran. 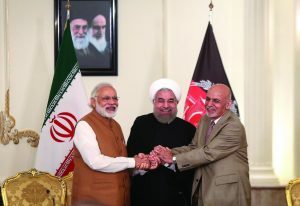 The recent functioning of an Iranian port in Arabian Sea (Indian Ocean) connecting Afghanistan with India bypassing Pakistan reveals a story of New Delhi’s growing embraces to both Kabul and Tehran. A secular democratic regime in New Delhi, which has been mounting standoff against the Islamic republic administration immediately after the Pulwama terror attack on a convoy of Indian security forces on 14 February killing over 40 personnel, came into actions against Islamabad garnering supports from the international community. The suicide bombing, engineered by Maulana Masood Azhar led Jaish-e-Mohammed (JeM)- as it had officially accepted the responsibility of Pulwama attack, sent a massive wave of pain & anger among millions of Indians across the country. Emotionally charged nationalists strongly insisted on proper retaliatory actions against JeM terrorists supported by Islamabad. 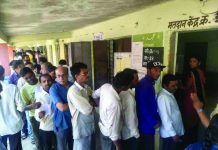 Public sentiments were fully materialized by the Prime Minister Narendra Modi of nationalist Bhartiya Janata Party-led government in New Delhi on the run-up to next general election in April/May and declared that perpetrators of the attack in Kashmir valley would not be spared. 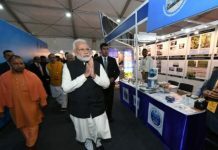 Modi’s assertions followed with sudden aerial attacks by Indian air-forces in Pakistan occupied Kashmir (PoK) and Khyber Pakhtunkhwa Province (PKP) of the neighboring country killing many JeM terrorists. Since then both the governments in New Delhi and Islamabad made voluminous statements over the development highlighting their respective success in the battlefield. Presently ill from renal problems and under treatment somewhere in Pakistan, JeM chief Masood Azhar is understood to be a fanatical enemy to India, as he masterminded an attack on its Parliament building in 2001. 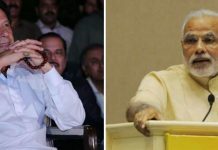 He remained active in PoK and often sent public threats to Indian nation as a whole and PM Modi in particular. 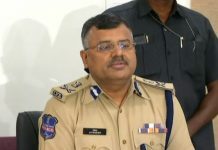 With its holy mission to transform young men into suicide bombers who would later kill everyone not believing in Islam or even a Muslim who supports non-Islamic activities so that those aspirant youths can win paradise after sacrificing lives in the name of Allah (God), Masood Azhar put Pakistan and its neighboring foreign localities in persistent turmoil. “Due to relentless political disturbances in Pakistan, the bilateral relationship of India and Afghanistan often faces hurdles. However these difficulties are short lived and both the friendly nations soon come to the business as usual,” said Abdul Mujeeb Khalvatgar, a senior Afghan radio journalist. Speaking to this reporter from Kabul recently, Khalvatgar reiterated that both the countries with strong civilizational ties have maintained goodwill relationship that emerges beneficial to both the developing nations. Commenting on the present Indo-Pak standoff, he also asserted that India has the legitimate right to defend its territory and people. Terming Afghanistan itself a victim of terrorism, Khalvatgar urges all progressive forces on the globe to get united against the menace of terrorism that has emerged as a curse to the human race. Persistent conflicts fuelled by terrorism can ruin a nation and his native country today represents a classic example of disorders, stated the qualified journalist on international relations. He appreciates the latest initiative to open a trade route between Afghanistan and India through strategic Chabahar port of friendly Iran (bypassing Pakistan) that re-establishes the importance of Kabul as an international business centre once again for which New Delhi signed an agreement with Tehran in 2016. Nevertheless, Khalvatgar disclosed that the turmoil in Pakistan has severely affected the ongoing peace process between the Taliban and the authority (USA government). The US administration, which completely changed its foreign policy towards the armed militias after 9/11/2001 attacks, has seemingly failed to eliminate the Taliban from all parts of Afghanistan. However, political observers believe that the Taliban faced huge losses in all these years and the religious armed outfit might not be able to strengthen its clout all over the country like earlier. President Donald Trump is interested to pull back his forces from the Islamic Republic before the US general elections in 2020. Their ultra-modern forces along with local government militias have already eliminated few dreaded terrorists on Earth namely Osama-bin-Laden, Mullah Omar, Akhtar Mansour etc. Conscious people of the country would prefer to end the engagement of their forces in different countries, if they somehow get convinced of no more terror attacks on inside USA from any foreign soil. Khalvatgar pointed out that radical Islamists are not interested to talk to the local government led by President Ashraf Ghani, whereas New Delhi prefers it to happen. US President Trump is also worried with Pak-disturbances and urged both Islamabad and New Delhi to defuse the ongoing tension so that the Afghan peace process runs on a smooth track ending 17 years of war with the Taliban rebels. Meanwhile, India’s billion dollar developmental initiatives in Muslim dominated Afghanistan since 2001 have already generated huge goodwill to the Hindu majority nation. For records, Afghanistan is the second-largest recipient of aid (after Bhutan) from India. 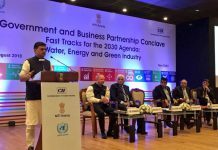 Hundreds of community development projects by Indian agencies are in progress there involving education, health, agriculture, rural development etc. Indian film actors from both Bollywood and Hindi tele-serials continue to be popular among Afghans, Khalvatgar informed adding that large sections of rural women glue to their television sets running the dubbed versions of Indian entertaining serials in local languages. Comfortable in Persian, Pashto and English languages, the author-journalist also revealed that many Afghan residents even presume India as a land of fairytales where women usually pursue education to hold powerful positions in government and business establishments. Studied professional journalism in Europe and the USA along with Turkey, Sri Lanka and India, Khalvatgar also authored Islam and Globalization, Provincial Councils and National Cooperation and Ethics on Social Media. He has been an active member of media law working group, journalists’ ethics codes, access to information act, etc in Afghanistan. Speaking about the pathetic conditions of education and health sectors in Afghanistan, Khalvatgar stated that many young Afghan now prefer to go to India for pursuing higher and professional educations. 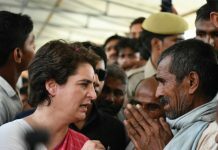 Moreover many patients, primarily suffering from hypertension, blood sugar, liver ailment and also cancer opt to leave for Indian hospitals, he stated. Despite numerous threats to media persons where journalists are often killed with impunity, he claimed that Afghanistan still supports a good deal of journalism in compare to its neighboring countries. Media may not have a direct strategy for peace and conflict resolutions, but the Afghan media fraternity significantly contributes for various peace building measures in the country, he affirmed. However Khalvatgar admited that the mainstream journalism across the globe has been facing major challenges from the social/alternate media. People now look for internet fed outlets for prompt news coverage and the social media emerges as a great influence in moulding public opinions. India with millions of internet users, he prescribed, can lead here where nations like Afghanistan can also considerably contribute.